Welcome to the second recipe in my We Wish You a Healthy Christmas series. Between now and Christmas, I will be sharing with you my favourite Christmas appetizer, entree, main and dessert recipes. Every recipe is healthy and will be gluten, dairy and refined sugar free. For my first recipe, I shared with you my Gluten Free Christmas Fruit Cake which is also one of recipes in my eCookbook, BecomingSweet – say yes to dessert again! This time I am bringing you my recipe for glazed ham with honey maple glaze that is refined sugar free. 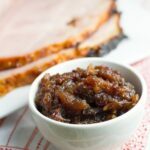 To accompany the ham, I also have included my recipe for apple & cranberry chutney which is also refined sugar free. 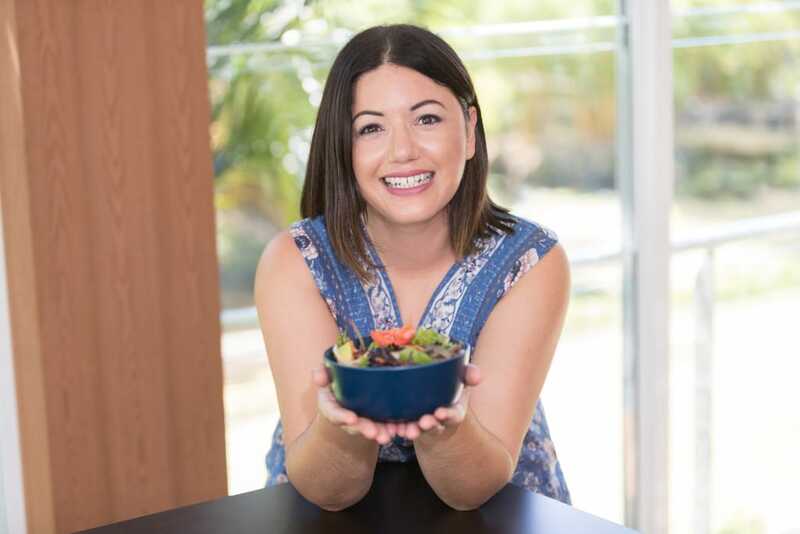 Both these recipes are suitable for paleo and clean eating lifestyles. They are both fairy easy to make and are sure to impress your guests over the festive season. Are there any traditional Christmas meals that you would like to see me recreate? Let me know in the comments below. Pre-heat the oven to 170 degrees celcius. Line a baking dish with 2 layers of baking paper and place an oven shelf on the lowest shelf. You may need to remove the other shelves to ensure that the ham fits. To prepare the glaze, add the coconut sugar, honey and maple syrup to a small bowl, stirring until well combined. To prepare the ham, remove the skin by running a knife under the rind around the edge of the ham and gently lift the rind off in 1 piece leaving the fat intact. Then score the ham in a diamond pattern, about 5mm deep and stud the center of the diamonds with the cloves. Transfer to the baking dish. Brush 1/3 of the glaze over the ham and place in the preheated oven for 90 minutes. Continue to re glaze the ham every 25 minutes. Remove from the oven and let the ham rest for 30 minutes before slicing. While the ham is cooking, prepare the chutney by placing all the ingredients (except the cranberries) in a large saucepan, bring to the boil, then reduce heat and simmer for 60 – 80 minutes (stirring regularly) until the apples softens, the mixture thickens and the liquid dissolves. Then add the cranberries and cook for a further 10 minutes until the cranberries have softened. Optional step – you can pulse the chutney in a blender if you want it more of a jam like consistency. Serve the chutney with the sliced ham.